Owning a corporate warehouse is no easy feat. There is just so much to think about, and so much to do. However, keeping your warehouse clean and organized can help you in many ways. First, it helps you better keep track of the items you have in stock. Then, it streamlines the whole process of ordering goods, storing them, pulling them and shipping them. Finally, it is a time saver – well-organized warehouses are hard to get lost in searching for a specific item. In this article, find out how to organize your corporate warehouse with a couple easy steps. 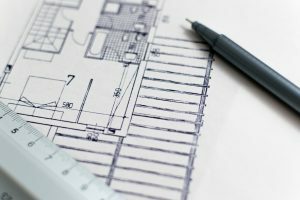 Start by creating a well thought-out floor plan. In order to organize your warehouse efficiently, the first thing you will need to have is a good floor plan. First, develop it on the paper. This way, you can make sure everything will fit perfectly. Don’t forget to check the size of your building and storage area – you do not want shelves that don’t accommodate the building and its rooms. By making a floor plan first, it will also be easy for you to categorize your goods and decide where everything will go. At this point, you should also think about the traffic that your warehouse is going to generate. Usually, you want to leave some space open for people to go around and actually get the stuff they need. Also at this point, think about the system you will use to store your goods. It should be something easy to understand so your workers won’t get confused. Think about sorting your items into groups. For example, a furniture store might first separate items by rooms, or their usage, and then divide them further based on the size, color or any other characteristics. Creating a good floor plan is the first step in creating the best warehouse in Japan, so be very thoughtful when doing this. Shelving is very important for a corporate warehouse. After you have developed the perfect floor plan, it is time to pick the shelving for your corporate warehouse. Now, when it comes to making your decision, there are a couple of things you need to think about. 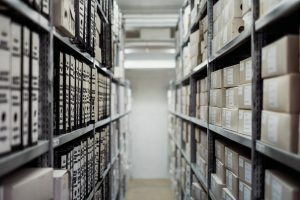 You need to consider the type of items you are storing in your warehouse, their size as well as the size of the warehouse, and how much traffic you believe you will generate. 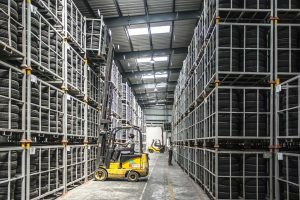 Usually, warehouses use pallet racking systems. There are durable and stack easily, which helps you use your vertical space. You should also think about getting shipping containers and storage bins. If you are working with temperature sensitive items, getting freezers and coolers is also a possibility. Again, this all depends on the type of goods you are storing in your corporate warehouse. Once you have installed all the shelves you will need, you should label them. This is important for two reasons. First, this way, you will ensure the safety of your workers. When everything is labeled correctly, there is less room for something to go wrong. Second, labeling your shelves will help boost the organization of your warehouse. It will be easier for your workers to get around, and so they will spend less time trying to find items. Think carefully about how you are using space. We have already once mentioned using vertical space as a key factor when you want to organize your corporate warehouse. What this really means is simply stacking the shelves you have on onto the other. There are many reasons you should be thinking about utilizing this method, but the two we will mention are the most important. First, stacking your shelves vertically will save you space. There are many benefits to investing in warehouse space, but only if you know how to use this space well. By stacking shelves, you add another layer of the space you have onto the existing one – thus doubling the area you cover in goods. Secondly, doing this will make your corporate warehouse cleaner and more organized. You should also think about where you stack which item. One of the best things you can do here is to put less popular goods into harder to reach places. This opens the spot for popular items to be easily accessible. Also, consider how close they are to the loading dock. You will want to save the time for your workers from the shelves to the loading area, so put the most popular items closest to the exits. Finally, don’t forget about maintaining your corporate warehouse. This is a huge part of keeping a warehouse organized, and will help you deal with international freight forwarders, too. Schedule regular cleanups, and make sure there are no items blocking the aisles. Finally, make sure you are always doing regular audits and reviews of the warehouse. You want to look into both the inventory management as well as how your warehouse is organized. It might even be a good idea to run through the steps we mentioned earlier again. Include everything in your review. Check the type of storage containers and shelves you use and how well they work. Make sure the grouping of the goods works well for your workers. Also, look at the workers’ flow paths, and recheck the blueprints to figure out if there is any way to improve your warehouse. Making sure you organize your corporate warehouse is not an easy task. However, following the simple steps we gave you will make it easier. Make sure you take everything in consideration – from the items you have to your employees’ ideas and thoughts.